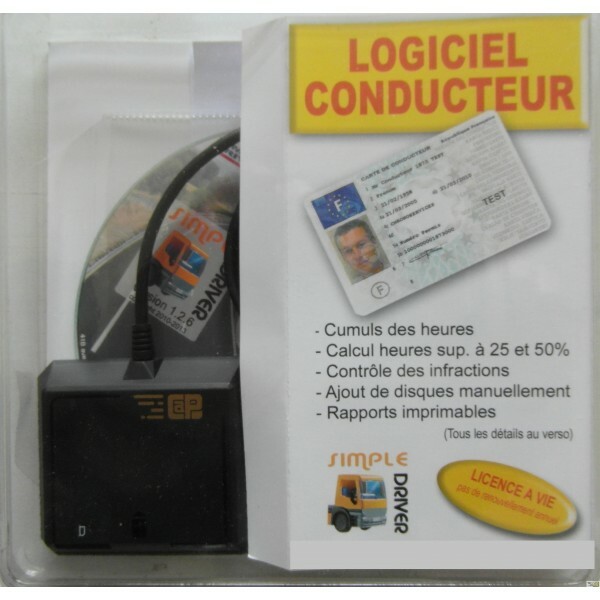 PACK CAPD CARD READER DRIVER including: A smart card reader CAPD R301-U, the software SimpleDriver with lifetime license (based on the driver card), updates & lifetime phone call support (located in France). For more quantity ordered : upon request. 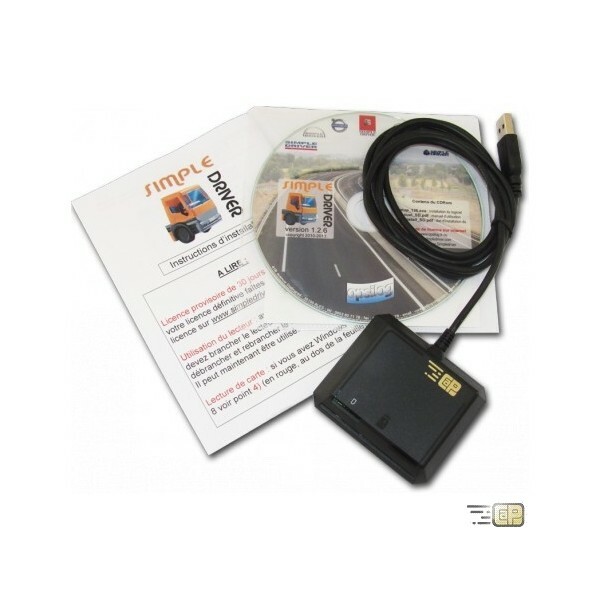 PACK CAPD CARD READER DRIVER including : A smart card reader CAPD R301-U, the software SimpleDriver with lifetime license included (located on the driver card), updates and lifetime phone call support included (Call center located in France). The smart card reader CAPD R301 -U: smart card and sim card reader ( small and large for drivers ) : Economical and compact, it is plug and play. 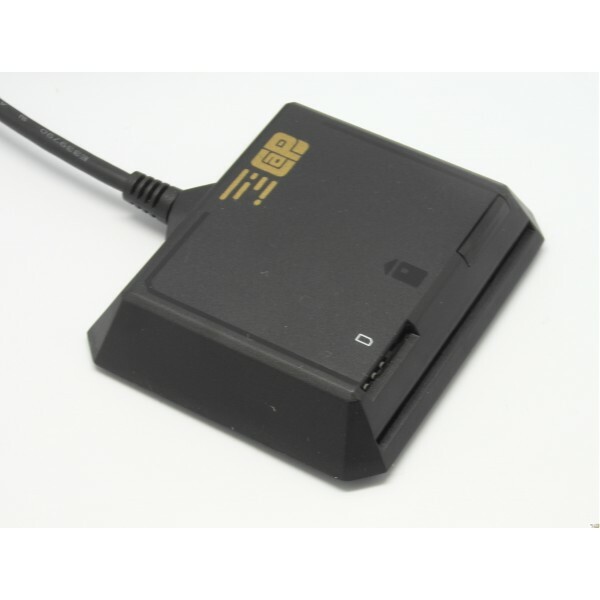 ideal for various applications access to workstations but also read a smart card (SIM sim mobile phones in particular ) thanks to a duplicate drive and its very attractive price controls, it has all the required protocols for various applications such as applications for road drivers. 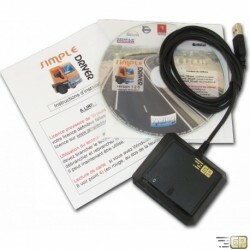 The SimpleDriver software for truck drivers : The SimpleDriver software with lifetime licenses provided ( established on the driver card ) , updates and lifetime phone support ( No. rate number located in France. 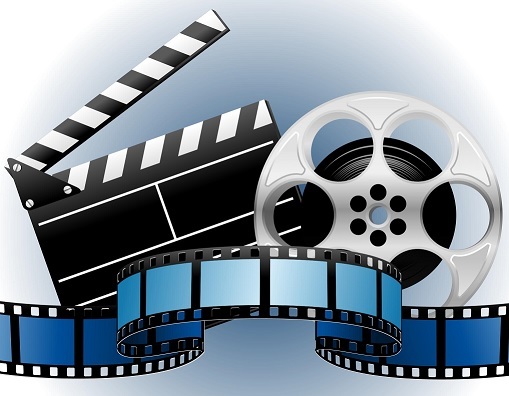 N.B : For MAC can use the SIMPLEDRIVER software beginning MAC OS 10 and higher, through an emulator WINDOWS not provided and can be downloaded on the Web (type: BOOTCAMP, PARALLEL BOOT or VIRTUAL BOX).